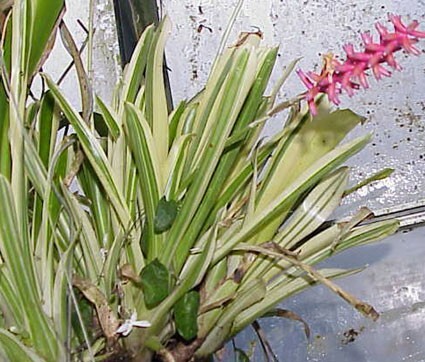 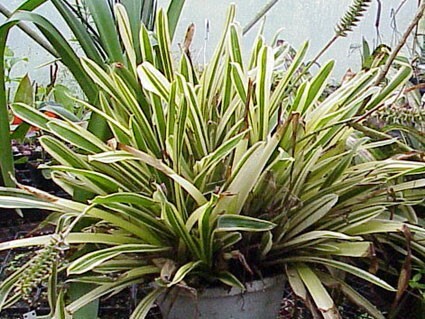 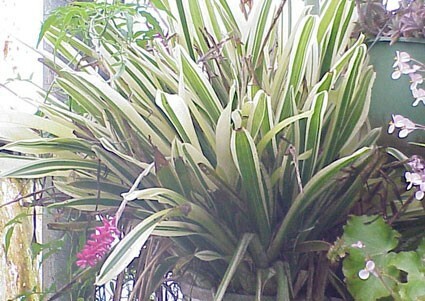 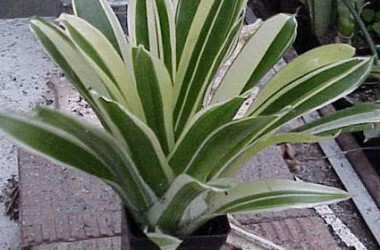 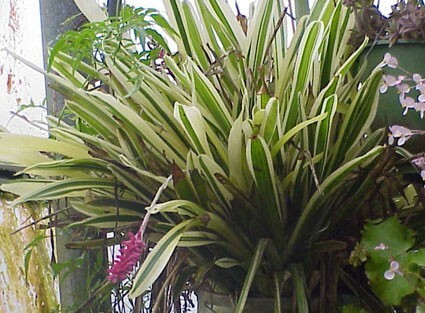 The nearly spineless outcurved erect leaves are broadly striped bright white, wonderfully overlapping to form an upright glossy urn like rosette--beautiful with the blue petaled blossoms tightly packed on a "Bottlebrush" inflorescence; certainly a must in any collection of exceptional variegates. 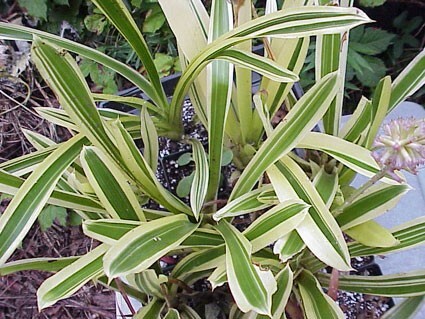 Always sought out by Bromelliad lovers and fanciers of extreme variegation as this is an especially undemanding plant, given the drama of its appearance. 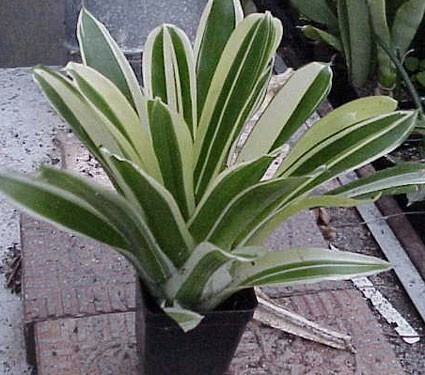 We finally had enough stock to dramatically reduce the price.